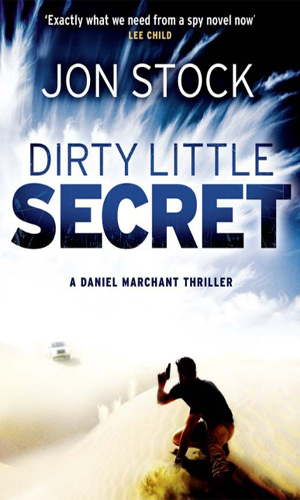 Daniel Marchant is an agent with MI-6. At the beginning of the first recorded adventure, he is a suspended agent and has been so for two months pending further investigation. His late father had been the head of MI-6 but was now in disgrace. The cousin Agency powers thought the elder Marchant untrustworthy and they engineered his removal. Though there was precious little against the son, the adage 'like father, like son' was on everyone's mind and Daniel Marchant did not help matters with his understandable protests. Marchant is 29 years old as the series starts and has been an agent for several very busy, very dangerous years. He did not start out to be an agent when he became an adult. To anyone looking, he was on his way to an early grave through drinking and partying and letching and any other way a person can recklessly bring about his own end. When Marchant was 8, his twin brother was killed in a car accident in Delhi where they all lived while his father was stationed there. Marchant took the loss particularly hard, understantably, but his mother did so even more. She eventually drank herself to death by the time the surviving brother was in his late teens and Marchant not only watched her do it, he seemed to feel that was the way to go. The best schools educated him though he spent more of his time in bars and bedrooms than classrooms. Learning to be a journalist was for him very easy and that lack of challenge made the carousing even more common. By the time he neared his mid 20's, the likelihood of seeing the mid 30's was remote. That was when the offer to work for MI-6 and his father came and to the surprise of many, including perhaps himself, he took it. And with the new job and its challenges, a new lease was given him. He flourished and the next few years showed just how good he really was and he was enjoying life. Then came his father's fall and his death and Marchant's own troubles. One thing his detractors should have studied, though, was that Marchant was a survivor. 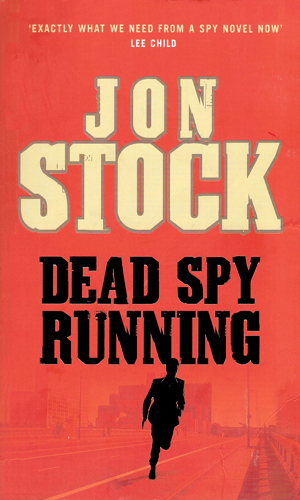 While running the London Marathon, suspended MI-6 agent Daniel Marchant encounters a man with explosives strapped to him who will explode if he does not maintain a steady pace, all in an attempt to kill the US Ambassador. When Marchant saves the day, no one believes him and the CIA put out a grab order for him. 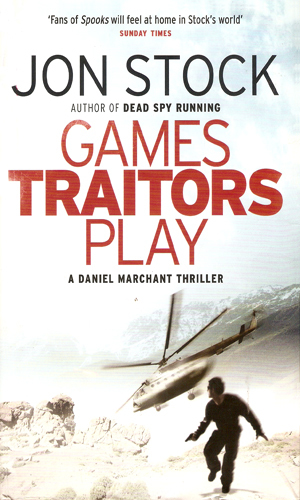 Daniel Marchant is put onto the hunt by MI-6 for a major Islamic terrorist leader as he is the best man to find him but the CIA is dogging his every step and even the Russians are close behind. Are they after the terrorist or Marchant? MI6 Agent Daniel Marchant is suspected by the CIA of helping terrorist attack American interests. As he deals with this problem, he is offered a chance by a major terrorist leader to keep Britain free from terrorism in exchange for Marchant's help in more blows against the Americans. If you live in Marchant's world, I am suspecting, every morning you wake up, you start out wondering who is going to be ticked at you today. Marchant is very good at his job and very conscientious and very loyal. Unfortunately, the number of people who realize these truths seem to be outnumbered by the volume of those who do not and no matter how much he puts his life on the line, there will be doubters who claim he was really working for the other side. That has got to be a rough way to start before you've even had your first cup of coffee. Mr. Stock is a terrific writer and I look forward to more books by him. I would not mind it, and I am sure the character Marchant would not mine either, if the CIA would back the heck off and let MI-6 and Marchant do their jobs. And Marchant needs everyone to just lighten up a bit - actually, quite a bit. I will trust the author to keep me entertained, regardless of whether he takes my advice or not, as he has certainly done so to now.